During the Ski Season we only book out for 1 week during July and August - for other times we are happy to consider shorter bookings - please contact us here for a quote. 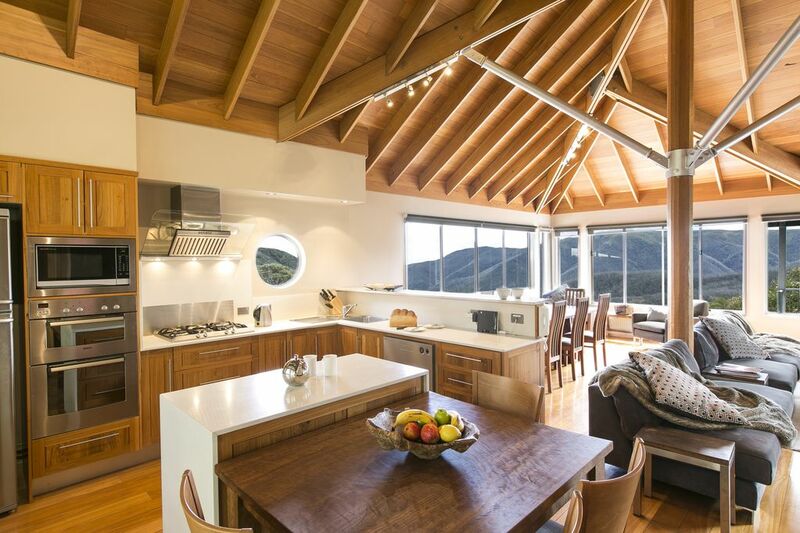 This contemporary 4 bedroom apartment is the ultimate in luxury for an alpine property. One of only 2 apartments in this boutique complex Snow Fall at Crowns Nest offers spectacular views and privacy with excellent ski in and ski out access. Snow Fall at Crows Nest can sleep up to 12 people in complete comfort with each of the four bedrooms having an ensuite, (there is also a double sofa bed). To add to this there a complete second lounge on the first floor and a spa on level 2. This ski lodge is your dream place to stay at Falls Creek - you will feel more than happy to come back here after a day on the mountain - it is such a special space with incredible, panoramic views - a place where you can truly breathe out and relax. Ski in Ski out - leaving from the front door ski to the Falls Express Chairlift, the Gully Chair or the International Poma and ski home to the backdoor via Ory’s trail. The downstairs TV room also has a double sofa bed. Plenty of room for a couple of families or a large group of friends. If you don't feel like heading out to one of the many wonderful restaurants we have a beautiful kitchen that is well equipped for cooking for family and friends. The main living area offers high raked ceilings and large windows that flood the space with light. The lounge also has a gas fire - who wants to be at the snow without one! On the living room level there is a private balcony with bush views that holds a hot tub spa - just what you need after the end of a fantastic day on the slopes - or fishing, or mountain biking - whatever activity that you come to Falls Creek for! The inside spa bath has it's own separate bathroom. There is an excellent laundry at Snowfall with a drying room and wonderful heating throughout. We thoroughly enjoyed our stay at Snowfalls. What a well presented property with everything you need for a comfortable and relaxing stay. The views from bedrooms and the open plan kitchen, dinning and living room are outstanding.